Years ago, often I would read stories and see videos of 9/11 Activists.... of street actions ...of real people-to-people interactions and projects in order to introduce 9/11 to new people. These were actions originated and performed by individuals & groups on their own volition and creativity. No one "told them what to do". They just came up with an idea and did it. I used to see a lot of stories from all around the world about 9/11 Activists. Rarely, do I now see stories about 9/11 Activists. I enjoy reading about the 9/11 Activism which others are doing. It is inspirational. I do see stories about choir to choir activities. There is a lot of choir. I have to commend Andy Steele. This guy is tenacious. He has hung in there for years. TomT on Fri, 08/05/2016 - 6:36am. This is an excellent interview. Andy Steele does some invaluable work with his radio show. Let's hope the 'Justice in Focus' event in New York this September is the huge success it deserves to be. Shoestring on Fri, 08/05/2016 - 9:11am. At this late date of 15 years after-the-fact, I would say that "justice" means taking legal action. It's not just more outreach. If there's a white paper proving NIST fraud, then legal action must be taken. RL McGee on Fri, 08/05/2016 - 11:07pm. I think that we can learn from the VAXXED campaign, which is actually ramrodded by a handful of passionate people. A primary objective is to have a Congressional investigation into the CDC cover-up on Vaccines along with legal action. And the legislative action towards prevention of mandated vaccines. Despite being thwarted, the VAXXED campaign has a wonderful marketing strategy with the resources available. Rather than going straight to DVD with their film, they chose the theatre route for public exposure and public credibility. For PHYSICAL interaction, not cyberworld reality. Physical visibility is a hallmark in their marketing strategy. Having been kicked out of film festivals, the VAXXED team arranged for some theatres to show the film. Many theatre chains did not want to run it. So, there was a limited showing across the country. Citizens volunteered to show the movie in theatres. There are more than 500 volunteered theatre showings that have been happening across the country. The VAXXED team got a bus and are touring the country. The plan is to be VISIBLE physically, to interact with the public. They document and video people's personal stories. People who have been harmed sign the bus. There are many thousands of stories of individuals who have had their lives destroyed by vaccines. And the VAXXED team is making these stories physically visible. This marketing approach is one of REAL WORLD interaction. Of VISIBLITY. Of ACTIVISM on a street level. And by showcasing and displaying these real world activism interactions, others become inspired. A snowball effect is occurring. And real world "Visibility" is a keyword in the marketing approach. Of course mainstream media does not cover the visibility. But I also fault the alternative media. They may interview the VAXXED team which is fine. However, the alternative media fails to inspire others to take action. The alternative media neglects to showcase the VISIBLE ACTIONS of those citizens who take the initiative in putting on these theatre showings. The activist ACTIONS of ordinary citizens are not presented in the alternative media. This neglect by the alternative media makes the whole campaign less effective, less inspiring for others to take action. The physical citizen activist "becomes invisible" by the alternative media. "Visibility of citizen activists" is a keynote in inspiring others to take action. It is pretty simple really...if one wants to inspire people to take action, to be activists, then showcase individual cases of activism. The VAXXED team does this. Often the alternative media does not. The VAXXED team showcases activists. Corbett has something interesting to say about this "virtual world". While we have many, many keyboarders who are aware of the frauds, there is a liability in the lack of physical personal interaction. We need to take into our own hands "spreading the information to others". TomT on Sat, 08/06/2016 - 10:05am. This summer a book by William F Pepper was released. 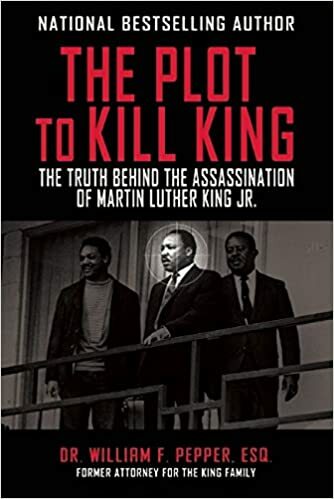 It describes the final details of how the government assassinated Martin Luther King, Jr. 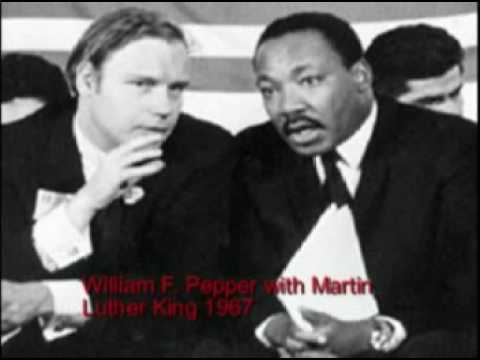 RECENT SUMMER 2016 talk by William F Pepper on new revelations in the assassination of Martin Luther King. BE SURE TO WATCH one of these two videos for background. This is another VIDEO which has footage often not shown to the American Public. William F Pepper talks to the 9/11 Truth Movement. Mentions infiltration and gives advice. One time moderator at 911blogger was Reprehensor. Reprehensor YouTube Channel has been scrubbed. His channel had footage of the trial. TomT on Mon, 08/08/2016 - 6:29am.